Ask our reception how to get the cheap standing tickets - it is really worth it! Enjoy the colourful scene & the scents and free trials at Vienna's biggest open air market. 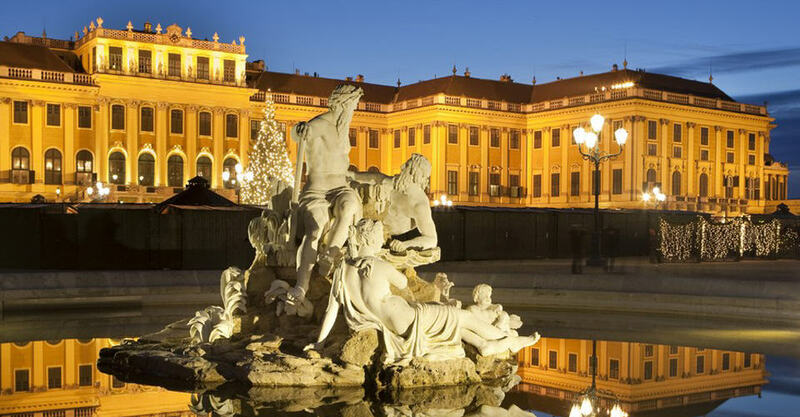 Only a few tram stations from the Hostel you can visit Vienna's biggest palace. 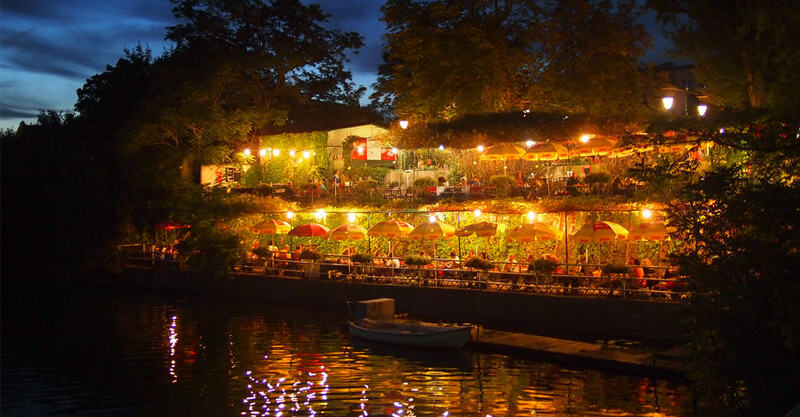 Nothing better than enjoying a warm summer night in one of Vienna's hidden danube side restaurants. Newly refurbished and full of lively democracy ... errrm. Nah, really - it's not so bad. Vienna – a glittering gem in the heart of Europe, a city full of history, art, music, and architecture. It is also a city full of life. Some decades ago Vienna could have been described as quaint and maybe a bit stiff, and while it retains a certain feeling of slowness and continuity, the influx of newcomers and general multiculturization have made it into the thriving and colorful place it is today. Vienna is an urban oasis, full of parks and beautiful buildings old and new – in fact, year after year, Vienna has been ranked the most livable city in the world. Download our Android app / IOS app for easy-touse directions to our hostel (also available Offline! ), plus lots of local-only Vienna tips, compiled by the most knowledgeable folks around – our staff !!! Austria’s biggest palace is only a 15min walk (or five tram stops) away from Hostel Ruthensteiner. Walking in the vast and beautiful parks around it or having breakfast in the famous Gloriette on top of the hill with a view over Vienna and the palace itself is simply delightful. If you’re into animals, there’s also the world’s oldest zoo to be seen in the park (open every day of the year!). And during Christmas time the courtyard is filled with stands selling handicraft, sweets and hot ‘glüh’wine. Vienna is world famous for its classical music scene thanks to Mozart, Beethoven, Haydn… to name just a few composers who performed and studied here. You shouldn’t only visit their apartments and graves (see central cemetery), but also hear their works performed live every day all over the city. 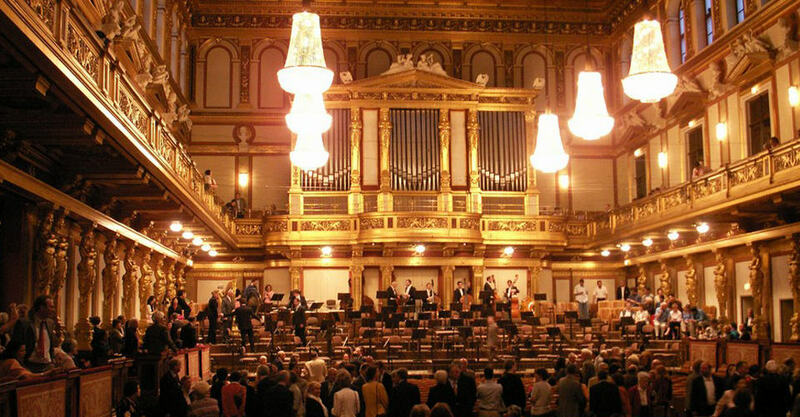 Both the Opera House and the Musikverein, for example, offer breathtaking architecture and mind-blowing acoustics, with orchestras that are amongst the world’s best (e.g. Vienna Philharmonic). Furthermore, the Vienna Boys Choir performs on Sunday mornings in the Hofburg Chapel. Standing tickets cost only a few Euros (3 – 6) or are entirely free (Vienna Boys Choir)! If you are looking for a more interactive approach to music, you can also visit the House of Music Museum (Haus der Musik). The river Danube is not only the longest within the European Union, but there are even 3-4 ramifications only in Vienna (Alte Donau, Neue Donau, Donau and Donaukanal). The Viennese love their river so much, that every New Year is started with Strauss’ waltz ‘Blue Danube’. The Danube Canal, often mistaken for the main river, passes right by the city center, is THE meeting place on hot summer evenings (especially during important football events) and features plenty of graffiti art samples. Furthermore, boats going to Bratislava or touring around the shores of Vienna leave from here, close to the metro stop Schwedenplatz. The Danube and the New Danube are separated by the artificial Donauinsel. This leisure island is 20km long and is best explored by bike. Starting from the first warm day of the year, the island attracts locals and tourists with its bars, restaurants and sports facilities. Every June it is home to the largest open air festival in Europe, the Donauinselfest. The Alte Donau is the most relaxing and romantic old section of the river where you can swim or rent boats. 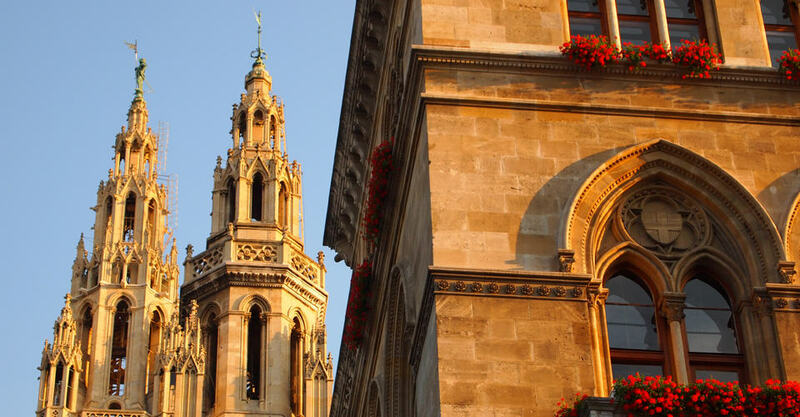 Living in one of the world’s most liveable cities, the Viennese love nothing more than ranting and food. It is surprising how well these things go together. Sitting in a typical Viennese coffee house and moaning about politics and life in general, while munching on the most delicious Sachertorte or Apple Strudel. You should try it (and there are more than 180 coffee houses to do so!). Of course, you also simply can’t miss the famous Wiener Schnitzel, a piece of thin veil (or pork for the budget-concerned), buttered, egged and breaded with a perfect crust. The Museums Quarter (MuseumsQuartier) is home to a series of installations, museums and cultural offices attracting thousands of tourists and locals every year. 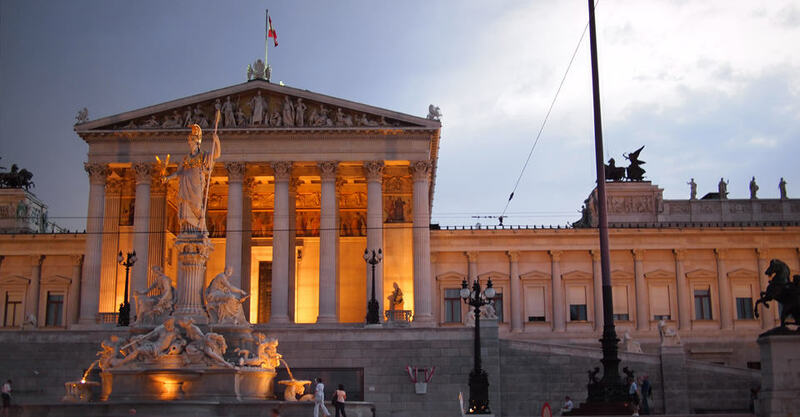 The main museums are the Leopold (holding the largest collection of Egon Schiele paintings as well as a few Klimts), the MUMOK (Museum for Modern Art), the Kunsthalle Wien (changing contemporary art exhibitions) and the Austrian Architecture Center (Architekturzentrum). On sunny days and in the evenings it doubles up as a place for people to simply hang out. If it starts to rain, you can always enter the Cafe Leopold featuring yummy burgers and a good nightclub on weekends. “An uneven floor is a melody to the feet” said architect, painter and general creative weirdo Friedensreich Hundertwasser (1928 – 2000), but that is just one of many details you can admire in his buildings. You will find roofs covered with greenery, trees growing from windows, colourful areas, and irregular forms. The Hundertwasserhaus and the Kunsthaus look like they have been taken out of a fairy tale (somewhere in between Gaudí & Tolkien’s Hobbitland). Besides those well known houses there is also a waste-burning facility (Müllverbrennungsanlage Spittelau) that was beautified by him. Its shiny tower can be seen from far and acts as a homing beacon for everybody living in the north of Vienna. If you want to take a break from the glorious imperial side of Vienna, dive into the surprisingly lively atmosphere of the multiethnic markets. After all, it is also its position at the heart of Europe that made Vienna into what it is now. The most famous market is definitely the Naschmarkt (in English something like nibble-market) with its crazy open air flea market on Saturdays. Here you can really eat everything, ´from a pin to an elephant´. 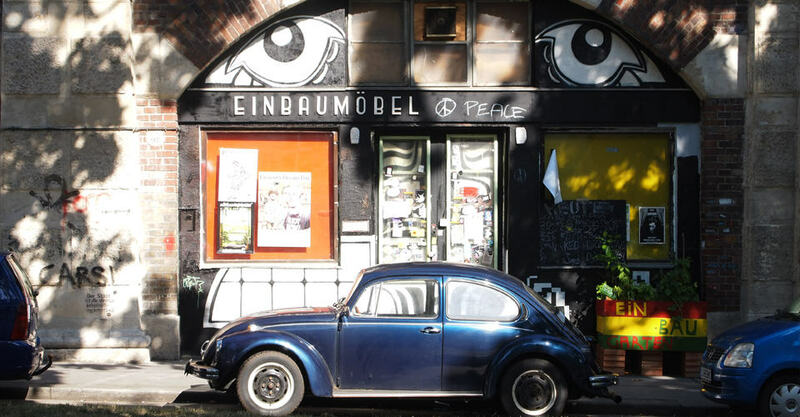 The Karmelitermarkt (2nd district) and the Brunnenmarkt ( 16th district) are two more laid-back alternatives that are also worth a visit (see also SOHO Ottakring). Did we mention the Viennese love eating? Well… but not without the proper beer or wine. And while Austrian beer is pretty damn good, the white wine is a treat. The one place where wine is even fresher than anywhere else is the so called Heurigen, a special kind of restaurant where you can get cold platters and the best local wine (and in season the freshly fermented ‘Sturm’). We definitely recommend strolling around the hills of Grinzing (from the top of Kahlenberg you can get the best view of Vienna for free!) and entering the little town in the evening. Go there on Monday for their free Austrian folk music and great atmosphere. If you have some more time, why not do the super fun all-day “grape grazing tour”, which takes you further into the beautiful hinterland…? You can book at our reception, with a little discount :). Parallel to the Lerchenfelder Gürtel, is the so called SOHO Ottakring, the center of Vienna’s alternative, gay and multiethnic artist scene. 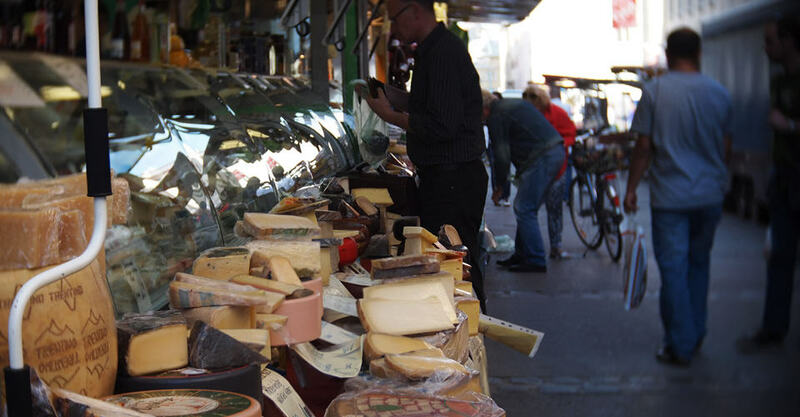 Wander along the Brunnenmarkt until you get to Yppenplatz, a large square with a wide selection of all kinds of food. Enjoy the scene: Vienna’s social students, organic vegans and modern bourgeois artists come together to eat and drink until 11pm. Of course there is also another reason. Here is where all the underground and modern Art & Music in Vienna happens (our tip: Grundsteingasse). Wait! We just talked about lying around. But there’s more. Beaches you might ask? Yes, it’s weird. But that’s one of our must see Vienna attractions. There are several artificial beaches by the Danube canal, which goes right along the inner city. The most famous of them is Hermann’s Strand Bar. However, nobody in their right mind would go for a swim in the canal. There are other options. A noisy holiday resort-like one is the so called Copa Kagrana at the Danube, right on the U1-line. If you prefer it more peaceful, two stops further (at Alte Donau) the scene gets very laid back. If you have more time in Vienna and want to enjoy walking through unique wild flora and fauna, you should absolutely visit the Lainzer Tiergarten, the former imperial hunting ground spread over 24 km². Pack your rucksack and take off to hike in the woods, try to spot boars, stags, mouflons and deers or enjoy the view over Vienna from the Wienerblick panorama point. Furthermore, the Sissi fans can also admire the Hermesvilla, a sumptuous palace decorated by Klimt and commissioned by Franz Josef I for his wife. Ok, Vienna is not the No.1 party city, but once you know where things are happening, you might find yourself part of the craziest party night ever. Many guidebooks and internet sites drop names like “Volksgarten” and “Flex”. While the first one is Vienna’s hip and rich crowd’s darling, the second is long beyond its most glorious rebellious youth. The new cats on the block are named Fluc and Pratersauna, the first one more dirty and crammed, and maybe more ecstatic, the second with a bit better quality of everything. The same goes for Grelle Forelle and Das Werk which are only a few stations with the U6 from the hostel. While the first one features well known electronic music DJ’s, the second one is probably one of Europe’s most underground clubs, and a good bet if you’ve had enough of Grelle Forelle’s not-so-cheap drinks and just want to party your drunken head off.